As we were entering Napoleon Bonaparte’s apartment at the Louvre we couldn’t help notice the really interesting design of the chairs he had in a room. As you’ll see in the photos included below, these chairs are quite effective from the point of view of seating people and space economy. Many people stay practically on the same chair, in the same place. Even if some are seated back to back, the arrangement of the chairs makes it possible for them to have an interlocutor close by. The are two types of such chairs with interesting design, as you’ll notice, one more comfortable than the other. 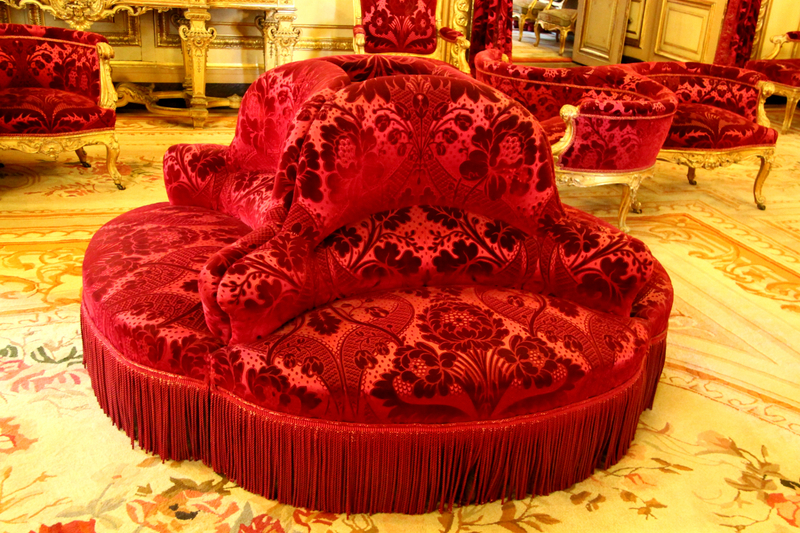 The chairs are elegant – let’s not forget where they can be found – and covered in red velvet. What do you think of this design? 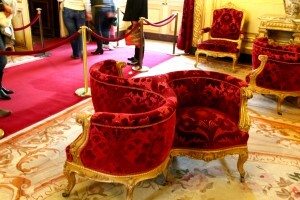 Would you like to have such chairs in your home?